Malaysia popularly known as "Truly Asia" is the most attractive and well-known tourist destination in the South East of Asia. It attracts tourist from all over the world for its exotic marine life, nightlife, pristine beaches, international shopping malls, long coastlines, skyscpapers and infrastructure, beautiful under water world of the islands, lush tropical rain forests and scenic beauty. Its sultry climate attracts a lot of tourist from all over the world. The diversified tourist destinations of Malaysia comprises of Kuala Lumpur-the garden city of light,Putrajaya-the newly developed city,Mallaca-the delightful old town,Penang-the heaven for food and culture,Perhentian island-the dream island, National park,sabah-known for eco-tourism,Langkawi,Cameron Highland and sarawak. Kuala Lampur is the capital and the ultra modern center of Malaysia. It is situated in Peninsular Malaysia, the heart of selangor state. The worth visiting places in Kuala Lumpur are Petronas Twin Towers, National Museum, central Market, vibrant Chinatown, bustling night markets and a little of Indian culture. Petronas twin towers, a master piece of earth is the second tallest building in the world after recently built Burj Khalifa in Dubai. Kuala Lampur is a wonderful destination for shopping, recreation, nightlife and sightseeing, envious shopping malls, mouth watering food, Chinese cultural festivals. The worth visiting places in Kuala Lampur includes Istana Negara (National Palace), Kuala Lamour Tower, the Putra World Trade Centre. Putrajay located in the south of Kuala Lampur is the newly developed city .Most of the government office of Malaysia can be found there. The most famous places to visit here are Perdena, Putra, Putra Mosque, Putra Bridge, and Seriwawasan Bridge. Situated in the south of Malaysia is a beautiful old town called Mallaca which presents an interesting mix of different cultures like Chinese, Dutch, Portuguese and British cultures. Tourist enjoys seeing the Chinese streets, temples, antique shops parts of European colonial area and the nostalgic Dutch buildings .These include the ST. Paul Hill, Jonker's Walk, Portuguese Settlement village, A'Farmosa Fort. 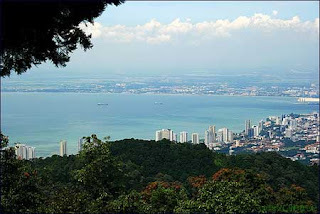 Penang is the paradise for food and culture lovers. It is located in the North West coast of Peninsular Malaysia. The worth seeing places include George Town, Penang Bridge, Snake Temple, Fort Cornwallis, War Museum, Kek Lok Si Temple. George Town is a very compact oldest British settlement and the countries leading resort areas. The beautiful old Chinese houses, Mahjong games, glimpses of Asian life, trishaws captures the eyes of the tourist in the city of George Town. Perhentian Island consisting of two island-Big Perhentian and Small Perhentian is located in the state of Terengganu. This island is a heavenly place for snorkeling fans and scuba divers. Tourist loves this place also for sunbathing and turtle and shark watching. of some rare mammals like the Indochinese Tiger, Asian Elephant and Sumatran Rhinoceros. The tropical rain forest, jungle trekking, bird Watching, adds up to the delightful experience of the tourist coming from all over the world. Sabah is a tropical paradise that amazes the tourist with the presence of both beaches and island. Earlier it was known as the” Land Below the Wind" as it lies below the typhoon belt.Kinabalu National Park is Malaysia's first" World Heritage Site" and the most popular biological sites in the world. It is located on the west coast of Sabah covering an area of 754 square kilometers surrounding Mount Kinabalu. It has become an outstanding tourist spot in Malaysia. Langkawi is one of the most wonderful tourist destinations in south East Asia. It is famous for its nostalgic sandy beaches, scenic beauty, nightlife, tasty food, as well as world-class resort, spas and hotels. It is the best place to go, relax and enjoy. Cameron Highland is located in the centre of Peninsular Malaysia. It is popular for its beautiful scenery, eye catching tea plantation, amazing butterfly farm, strawberry farms, hill stations, waterfalls, jungle walks, plenty of wild flowers and beautiful gardens. Sarawak is a lovely Malaysian island state known for its flora and fauna and deep jungles. Tourist can witness various types of animals around this beautiful island, dive into the crystal clear sea and colorful marine life. The mouth watering and tasty food of Malaysia also attracts a large number of tourists from all over the world. Right from spicy Malay food, Chinese food to Indian and Portuguese food, everything is just electrifying. The most popular Malaysian delicacies include chicken rice, fried noodles, satay, roti canai and rendang.Western food chains are also equally famous. Nyonya cuisine also dominates the taste of tourists. Malaysia is an excellent spa holiday destination. 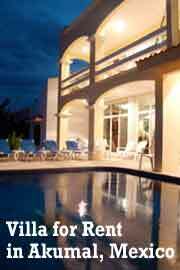 The numerous luxurious resorts provide the best spa treatments of Malaysia. Different spa therapies, traditional Asian facial, body messages helps to cleanse, restore, refine and hydrate our skin. Today Malaysia has emerged as one of the strongest economies of Asia. The economic growth of its country is contributed by its tourism sector to a great deal. Thus millions of tourist visits this beautiful and lovely country every year.